We’re bound to see a lot of dubious Galaxy Note 8 renders before Samsung officially unveils its next flagship phablet. It’s unclear when the company is planning to do that, reports suggest that it might happen in late August. 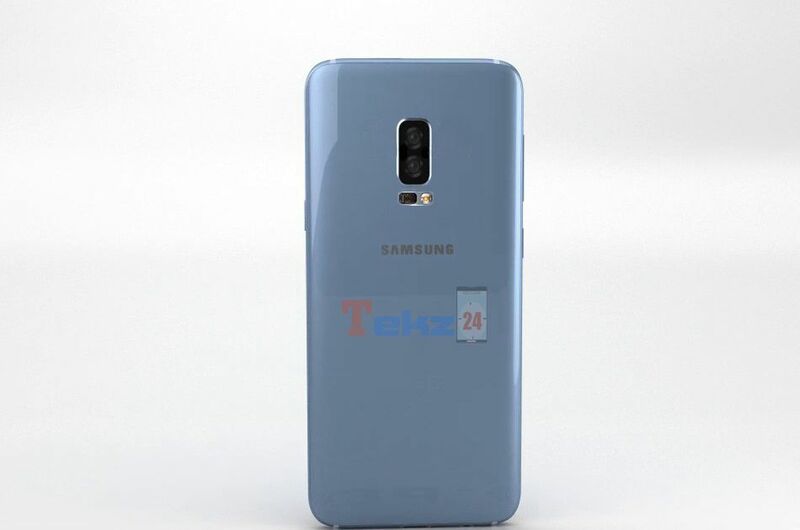 The latest leaked render, which happens to be dubious as well, gives us a look at what’s claimed to be the Galaxy Note 8 in Coral Blue. You might remember that Samsung introduced the Coral Blue color option with the Galaxy Note 7 and it proved to be a hit. Samsung brought it back for the Galaxy S7 edge. A recent report also claimed that Samsung will soon release the Galaxy S8 and Galaxy S8+ in the United States in Coral Blue. Therefore, it will not be surprising at all if Samsung decides to offer this color option for the Galaxy Note 8. However, that doesn’t mean what we see in this dubious render is what we’re going to get later this year. The render appears to be dubious because we don’t see a fingerprint sensor on the back. In light of recent reports which suggest that the Galaxy Note 8 may not feature an in-screen fingerprint sensor, Samsung is unlikely going to do away with the fingerprint sensor entirely. So take this render with a healthy dose of salt for now. We expect to see more leaks in the weeks to come so we’ll get to see plenty more before Samsung officially unveils the Galaxy Note 8. Best position for fingerprint IN PRACTICE, for people indeed using it, is at the back, near the center of the device and a bit to the top to be reached easily left or right handed, safe distance from camera. Not front, not inside screen (which yeah it’s cool). Disagree. Works only with device in your hand. But, if it’s in your desk? Actual design offers you unlock the device without grab it. @SAMMAY69 it’s a bit harsh to call someone a retard for expressing a point! There are plenty of roumers coming out of South korea and China talking about a physical fingerprint scanner. Maybe even on the front. Just chill out and wait and see. I spoke to a friend in Samsung Turkey, there will be a fingerprint sensor on the back. Maybe it’s placement will change, but most of customers report using the iris scanner and face recognition options, so it’s not really an issue. fingerprint scanner is way faster and secure than the above. So i think it is a big deal. You only have to use those features because Samsung was not able to place the fingerprint scanner in a good location. If the scanner was on the front, you would never use the iris scanner ever again. I think the note 8 will be a huge disappointment when you see what is possible in the iPhone 8. This is the first Samsung phone in years that will have old technology compared to Apple. fingerprint scanner is way faster and secure than iris scanning. that’s why it can be fooled with play doh! I dunno if he is, but you are for sure. Read newer… news. You obviously haven’t used a device with iris scanner. I use every day. It will never replace ultrafast fingerprint scanner. I don’t know were you got this so called “report”. I just hope they won’t put it on the same stupid place as S8. Where is the fingerprint scanner…everyone knows that is going to be in the back just like the s8. What’s the purpose of the article if the author knows beforehand that the source/information is pure B.S.? I understand this is a Samsung enthusiast site,but,a little discretion is in order,unless you’re applying Samsung’s strategy,throw spaghetti @ the wall,see what sticks/clickbait at worst.